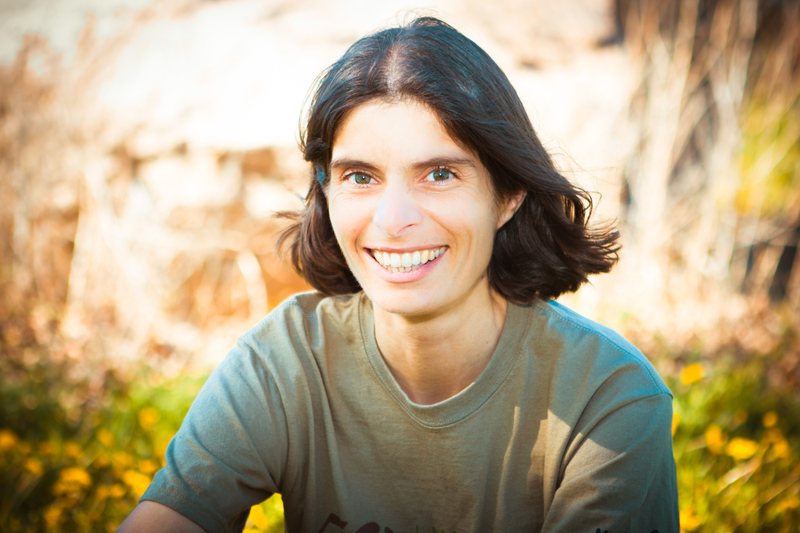 Laura Reeves is the 2012 Nature Summit’s connection to the Wilderness Awareness School. 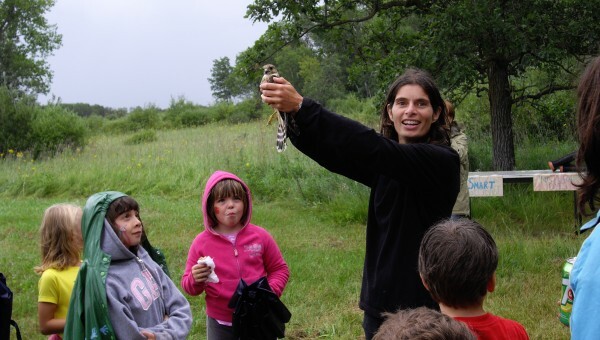 WAS were the keynote speakers at the 2010 Nature Summit but were unable to return for 2012 🙁 , however Laura-besides all the other amazing things she does- is currently working on the Kamana 3 Naturalist Training Program through Wilderness Awareness School. Laura Reeves is a botanist, living in Gardenton, MB, where she runs “Prairie Shore Botanicals”. Her main passion is wild edible and medicinal plants, but her curiosity and penchant for learning new things often causes her to explore the endless network of other trails relating to nature awareness. Laura also co-instructs the popular Wilderness Skills Intensives with Dwayne Logan. She has taken 8 courses at Tom Brown’s Tracking, Nature and Wilderness Survival School in New Jersey. 2) Blind Drum Stalk is a fun and exciting way to stretch peoples’ awareness of their surroundings and increase their comfort zones. By removing our dominant sense – sight – participants will be left to depend on hearing, touch and smell to get from Point A to Point B. To prepare for this activity, participants will practice using their owl eyes, dog nose, deer ears, and raccoon touch. They will also be introduced to (or reminded of) the fox walk, which was introduced at the 2010 Nature SummitActivity leaders will lead the blindfolded group in single file to a predetermined area and spread people out along the starting line. Once everyone is lined up, a distant drum will begin to beat every 8-10 seconds. The blind-folded, bare-footed participants will then try to make their way to the drum, using their non-dominant senses and intuition to guide them around obstacles such as trees, shrubs, logs and buildings. Activity volunteers will keep watch and quietly steer participants around or away from any potential dangers (e.g. pits, river, junk piles, etc.). When each person reaches the drum, they will be tapped on the shoulder. They may remove their blindfold and sit quietly behind the drum and wait as the others move in. When all, or most, have made it to the drum, we will call everyone in and share our experiences and observations. 3) Field Guide Scavenger Hunt– This activity is an excellent indoor alternative for days when the situation doesn’t allow for outdoor play or when the weather is just plain miserable. The goal of this exercise is to introduce students to the wealth of information contained within nature field guides and familiarize them with the way this information is presented. Participants will be given a selection of field guides to hunt down the answers to several (five) questions. For example, “I am the smallest mammal in Manitoba, but I have an incredible appetite. What do I eat?” To answer this question, participants will need to find out which small mammals live in Manitoba (using the illustrations and maps provided in the field guides). While doing so, they will notice that there are many different kinds of small mammals and that they are not all mice. As they figure out which is the smallest, they will learn how to distinguish between mice, voles and shrews. By reading about their diets, they may be intrigued by the different role each animal plays in their ecosystem. As they flip through the pages, they may stop to look at or read about some other peculiar-looking animal, furthering their curiosity about the animal kingdom. This entry was posted in Blog, Events, Summit 2012, Workshops and tagged Blind Drum Stalk, Cattail Mats, Laura Reeves, Laura's Eat Wild Edibles, Wilderness Awareness School. Bookmark the permalink.